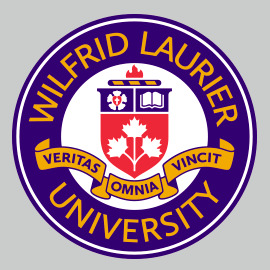 1.00 Wilfrid Laurier University recognizes the importance of innovative and progressive technologies that support excellence in teaching and learning, promote integrated learning, advance scholarship, and facilitate global engagement and citizenship. This policy is aimed at ensuring that students have access to technologies to enhance their learning during course instruction and or assessment while simultaneously placing the responsibility of establishing guidelines for use for educational purposes with the course instructor. Educational purposes: Learning directly related to the course in which the technology is in use. 3.00 This policy covers all instructional environments (e.g., virtual, blended, face-to-face) at all campuses of Wilfrid Laurier University including those learning environments that may be hosted or facilitated at off-campus locations. 4.00 Use of technology by students and instructors is permitted during class provided it is used for educational purposes. Technological devices may include: laptops, tablets, cell phones, and so forth. Individual instructors, however, are permitted to establish Guidelines for Technology use During Class and During Course Assessments (see below). Instructors, for example, are permitted to regulate the use of technology for social communicative purposes. Students who require technology as an assistive device for learning are encouraged to register with Accessible Learning. Use of visual or audio images: Image, video, and audio recording of instructors or in-class activities are strictly prohibited without the prior written consent of the instructor, students, and/or Accessible Learning. Use of technology during assessments: Students may be permitted to use technological devices during assessments only under the direct and written permission, in advance of the exam or test date, of the course instructor or Accessible Learning. Instructors are required to make explicit on course syllabi Guidelines for Technology use During Class and During Course Assessments. These guidelines may include designated space within the class for those using technology, screen and wireless internet down times, cell phone guidelines and restrictions, restrictions of technology during assessments, and so forth. It is strongly recommended that course syllabi make explicit any consequences for inappropriate use of technology that are in addition to those outlined in Polices 9.1 and 12.2 (e.g., participation marks for appropriate use of technology, removal from class of the student, academic misconduct penalty, etc.). Students are encouraged to make informed decisions regarding technology use during class and assessment. Some devices are distracting during learning and can disrupt the learning of others. Off-task use of technology (e.g., communicating with friends or family; using social networking sites; playing games; accessing the internet on websites that do not relate to the course; reading an electronic book that is not related to the course; playing music or video, etc.) during instruction which are distracting to self or others are prohibited. Ontario's Freedom of Information and Protection of Privacy Act: The university falls under the ambit of Ontario's Freedom of Information and Protection of Privacy Act. In addition to the preceding, individuals have the rights and duties set out in the Act. Where the Act and the university's policies conflict, the Act shall prevail.